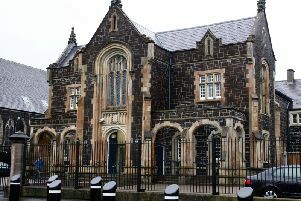 A Larne GP has hit out at what he described as “the systemic lack of investment” in out-of-hospital services over the past decade. Brian Dunn, former chairman of the British Medical Association GP committee, warned the rising workload and decline in the number of GPs is creating a “perfect storm”, with potential devastating consequences for primary care and the wider health service. Dr Dunn, who also serves as a NI Conservative Councillor on Larne Borough Council, said: “Funding for general practice has suffered real cuts. We estimate that there is an underinvestment in general practice, with a minimum £33 million recurrent funding needed to bring us up to the UK average. “However it is not just about money. We know that GPs held 12.7 million consultations in the past year, a rise of 63 per cent since 2004. The figures were published by BMA Northern Ireland in its paper ‘General practice in Northern Ireland: The case for change’. The paper outlines concerns that these workload figures do not reflect the complexity of consultations and the growing comorbidity of the province’s ageing population. The BMA Northern Ireland also feels the figures do not reflect the time needed to deal with the growth of administrative tasks to ensure continuity of care. “These headline figures are just the tip of the iceberg,” added Dr Dunn. “Further adding to the pressure is the fact that we are simply not training enough GPs to meet demand in Northern Ireland. “Of the 65 GPs due to complete their training in 2014, just 33 did so. “This has been a noticeable trend in recent years, with the effects of maternity leave and an increase in part-time training having an impact”. According to BMA Northern Ireland, even if all these trainees completed their training on time, there would still be a significant shortfall in family doctors in the short term, with 111 GP training places needed in the province each year. At the other end of the spectrum, a quarter of GPs in Northern Ireland are aged over 55 and are planning their retirement. Another 17 per cent are aged 50 – 54, so more retirements are pending, warned the BMA Northern Ireland.